When friends I met in Paris suggested a girls weekend reunion, I was so in. When they suggested meeting in Napa Valley for some wine tasting, I was giddy. Then I learned that I would be planning the weekend. Hmmm. Neither friend had been to Napa and I love making plans and organizing travel that includes fabulous food and wine, but, yes there's a but, these are no ordinary friends. These are friends with a refined French palate. Those gorgeous, silky red Burgundies and those glasses of crisp white Chablis, yeah, that's Tuesday drinking. California's big bold Cabs and oaky, buttery Chards were not going to go over well with them, so I had to dig a little deeper on researching this trip. 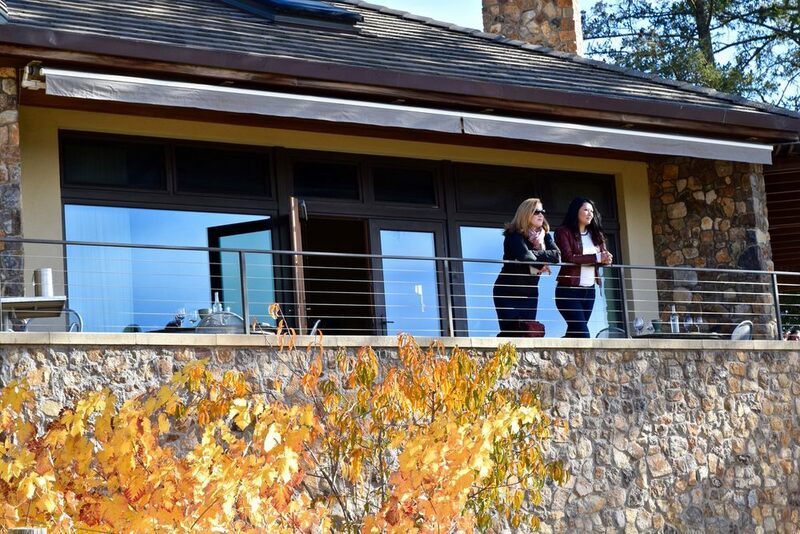 I wanted to see if I could turn these French wine lovers into CA appreciators, and with that we set out on a girls Napa Valley wine tasting weekend. It's only civil to start a wine tasting weekend with bubbles, non? Most of our evenings in Paris began with une coupe de champagne, and I saw no reason to start any other way in Napa Valley. Domaine Chandon was founded by Moet & Chandon in 1973. It became the first French-owned sparkling wine venture in the US, so I thought this was the perfect place to begin our reunion. Chandon has a lovely terrace and patio where you can enjoy your wine outside on adirondack chairs while taking in a beautiful view. They offer flights of champagne to taste which was a great way to sample a few things. My hands down favorite was the Etoile Brut and shockingly at $40 per bottle, it's one that I can afford to grab for more than just a special occasion. I wanted to show my friends the range that Napa includes. It wasn't going to be all fancy sparkling wine and sprawling green pastures. This is when I took them to one my favorite wineries in Napa Valley, Elyse. A good friend of mine introduced me to Elyse many years ago, and I have been a loyal fan ever since. Elyse is un petit peu more modest than Chandon. 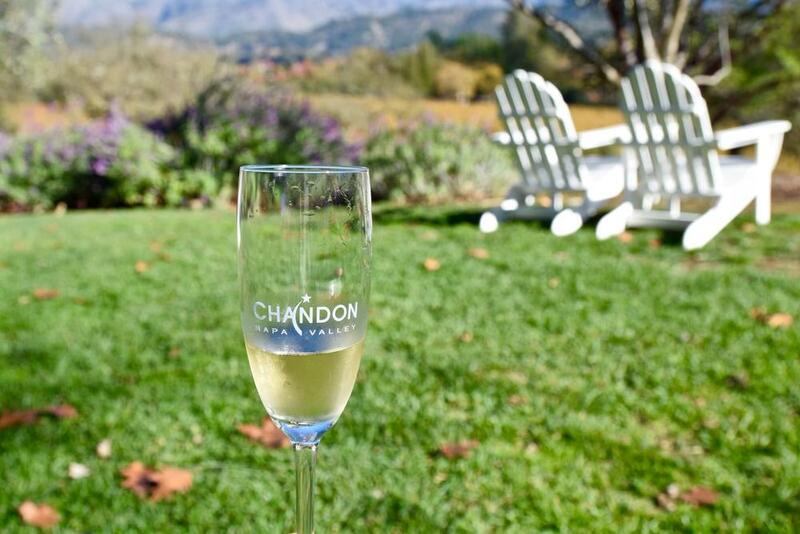 You taste at a bar in a small trailer, just a short distance down the road from Chandon, but a world away. The wine though, is top notch with a great portfolio that includes two labels, Elyse and Jacob Franklin. Elyse's first wine was made with the Zinfandel grape from Morisoli Vineyards in Rutherford, where they also grow cabernet sauvignon. This area is a little cooler, producing an earthier Cab with balanced deep dark fruit and notes of graphite and tar. It was a winner for one friend who brought it home to her French husband and rumor has it, it received the French stamp of approval. Bravo to Elyse! I had booked Ma(i)sonry as a fall back in case I struck out pleasing my friends' French palates. Luckily I did ok, but I still wanted to see what Ma(i)sonry would come up with for them. Besides having a funny spelling name, Ma(i)sonry is an interesting mix of art gallery, event space and winery collective. They represent 23 different artisanal vintners across Napa Valley and they create a customized tasting for each person based on their preferences. I felt a little bad for our young server, but he was up for the challenge and was not defeated when the first few wines were not well-received. We all ended up liking at least one. Ma(i)sonry does have a strong portfolio of names in their collection with heavy hitters like Philippe Melka and Heidi Barret (loved her reasonably priced $45 Lamborn Pupil Zin). 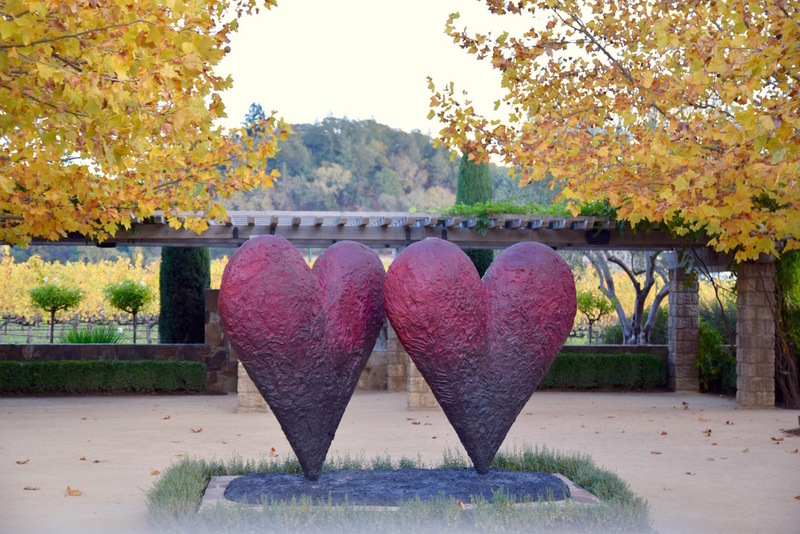 If you're staying in Yountville, you're in walking distance to this beautiful spot where you can taste in a garden outside and then peruse the art in their two-story building after. Be careful how much you have to drink before buying! Our first day we stayed close to Yountville for wine tasting, but the next day, we drove out to Howell Mountain in hopes of finding more French leaning wines, as well as to get some sweeping Napa Valley views. First stop was Cade. I was particularly intrigued with Cade since they were the first Gold LEED certified winery in Napa. As soon as you drive up to their striking vineyard, you see the electric car plug-in. They use solar power, recycled water and you can even find jeans in their walls. Ok, I didn't actually see it, but I trust them. Did I mention how beautiful it is? The views! 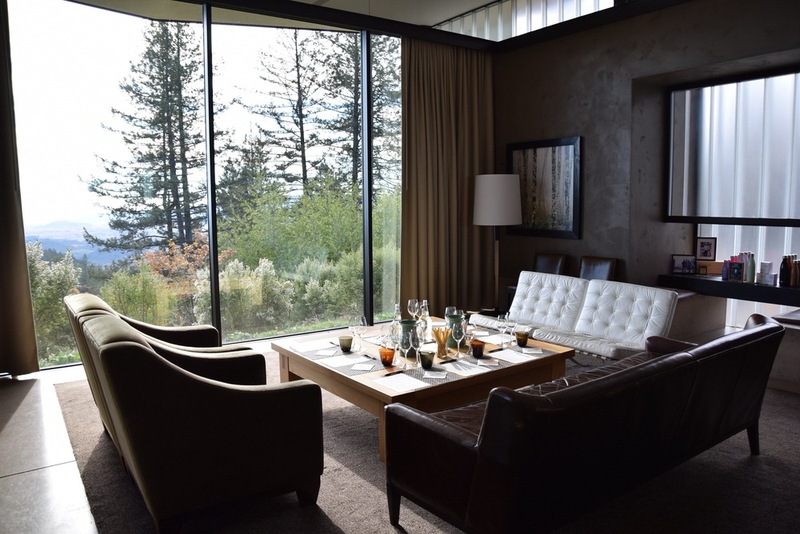 Luckily they capitalize on their views and have the coziest of couches facing the floor to ceiling glass windows. The wine? It almost wouldn't matter, but they care and their wines were strong. 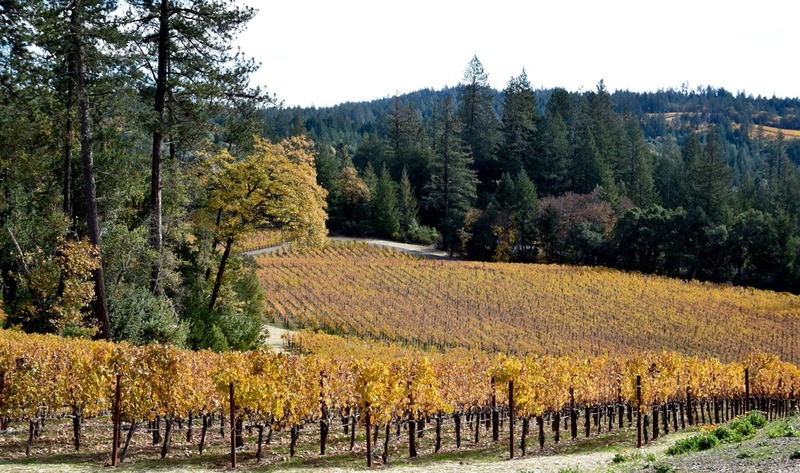 Plump Jack started Cade in 2005 to try their hand at a high-altitude estate Cabernet Sauvignon from Howell Mountain. The cooler temps mean deep, dense wines that pick up the mountainside soil ash and mineral notes. Yup, another French crowd pleaser. This was our collective Napa Valley favorite winery of the trip. 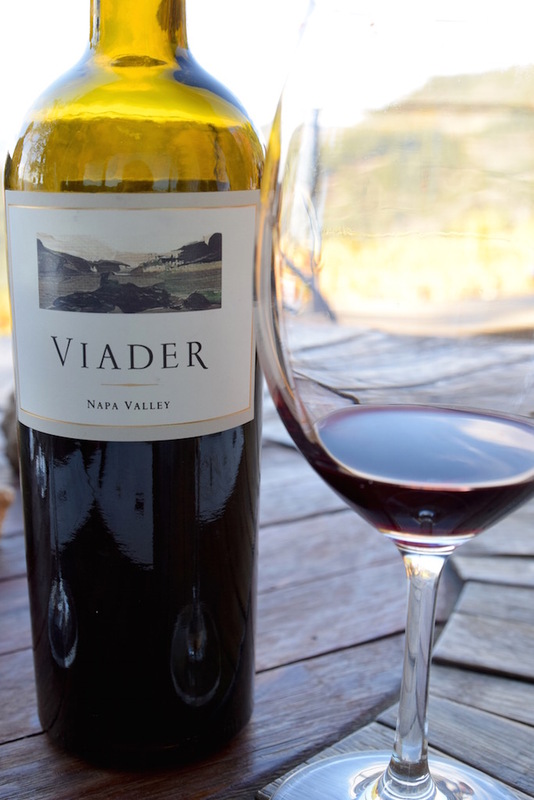 Viader is just down the hill from Cade, so expect more fabulous sweeping Napa views. They have a nice wrap around porch where you can sit outside and take your tasting. I should mention that if you haven't been wine tasting in Napa Valley recently, the tasting fees have gone up quite a bit. Cade was $40 and Viader was $50 to taste. To taste. There was about 4 wines at each spot to sample, so you do the math, but also know that I wasn't taking my French friends to wineries with cheap wine. In fact our favorite wine at Viader was $200. It's called Liquid Cashmere because I'm guessing you want to wrap yourself in it. I know I did, but I would want to ensure not to spill a single drop of that luscious juice. We came back down to earth in price and proximity with our final stop at Cliff Lede. Cliff Lede is close to Yountville and in the middle of things, so makes for a great meeting spot where we in fact met up with another friend from Paris who also happened to be in Napa the same weekend. 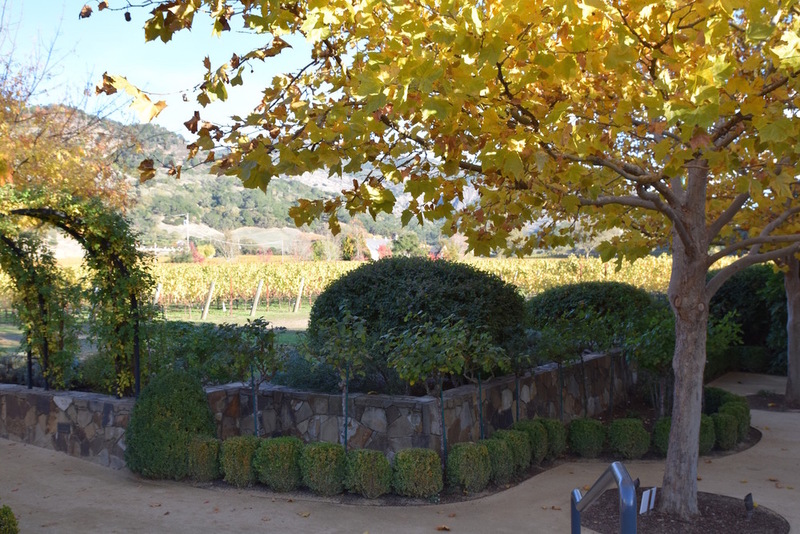 We sat on the back patio, soaking in the beautiful fall Napa day while enjoying Lede's Pinot Noir and Cabs. The 2012 Fel Pinot from Hirsch Vineyards in Sonoma was my favorite, but I was too busy admiring the views to take any pictures of the bottles or winery. Luckily the girls left with a better understanding of Napa Valley wines and even a favorite bottle or two. And don't think I didn't feed them. 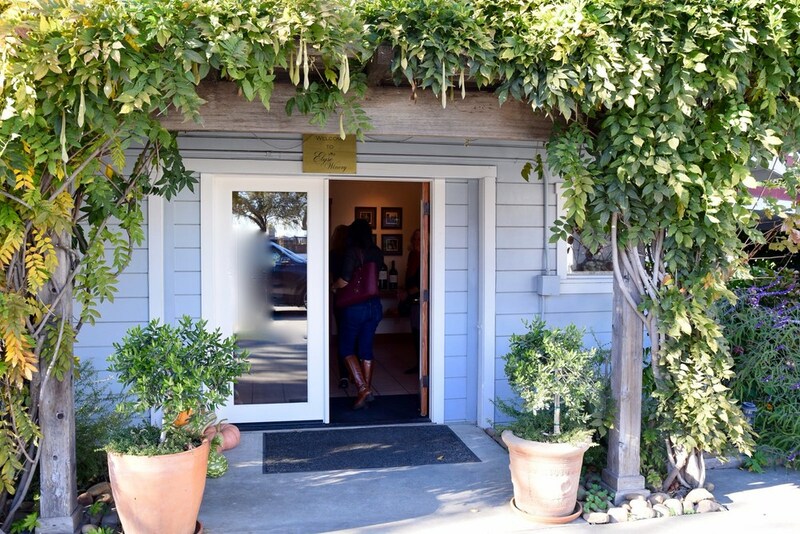 Keep reading on where to eat in Napa Valley.